3800601 24 John Deere 24. Skid Steer loader. Spare Parts Catalog. Service (workshop) Manual. Operator's Instruction Manual. 3800602 24A John Deere 24A. Skid Steer loader. Spare Parts Catalog. Service (workshop) Manual. Operator's Instruction Manual. 3800603 60 John Deere 60. Skid Steer loader. Spare Parts Catalog. Service (workshop) Manual. Operator's Instruction Manual. 3800604 90 John Deere 90. Skid Steer loader. Spare Parts Catalog. Service (workshop) Manual. Operator's Instruction Manual. 3800605 332 John Deere 332. Skid Steer loader. Spare Parts Catalog. Service (workshop) Manual. Operator's Instruction Manual. 3800606 125 John Deere 125. Skid Steer loader. Spare Parts Catalog. Service (workshop) Manual. Operator's Instruction Manual. 3800607 170 John Deere 170. Skid Steer loader. Spare Parts Catalog. Service (workshop) Manual. Operator's Instruction Manual. 3800608 240 John Deere 240. Skid Steer loader. Spare Parts Catalog. Service (workshop) Manual. Operator's Instruction Manual. 3800609 240 John Deere 240. Skid Steer loader. Spare Parts Catalog. Service (workshop) Manual. Operator's Instruction Manual. 3800610 250 John Deere 250. Skid Steer loader. Spare Parts Catalog. Service (workshop) Manual. Operator's Instruction Manual. 3800611 260 John Deere 260. Skid Steer loader. Spare Parts Catalog. Service (workshop) Manual. Operator's Instruction Manual. 3800612 260 Series II John Deere 260 Series II. Skid Steer loader. Spare Parts Catalog. Service (workshop) Manual. Operator's Instruction Manual. 3800613 270 John Deere 270. Skid Steer loader. Spare Parts Catalog. Service (workshop) Manual. Operator's Instruction Manual. 3800614 280 John Deere 280. Skid Steer loader. Spare Parts Catalog. Service (workshop) Manual. Operator's Instruction Manual. 3800615 313 John Deere 313. Skid Steer loader. Spare Parts Catalog. Service (workshop) Manual. Operator's Instruction Manual. 3800616 315 John Deere 315. Skid Steer loader. Spare Parts Catalog. Service (workshop) Manual. Operator's Instruction Manual. 3800617 317 John Deere 317. Skid Steer loader. Spare Parts Catalog. Service (workshop) Manual. Operator's Instruction Manual. 3800618 320 John Deere 320. Skid Steer loader. Spare Parts Catalog. Service (workshop) Manual. Operator's Instruction Manual. 3800619 325 John Deere 325. Skid Steer loader. Spare Parts Catalog. Service (workshop) Manual. Operator's Instruction Manual. 3800620 326D John Deere 326D. Skid Steer loader. Spare Parts Catalog. Service (workshop) Manual. Operator's Instruction Manual. 3800621 328 John Deere 328. Skid Steer loader. Spare Parts Catalog. Service (workshop) Manual. Operator's Instruction Manual. 3800622 328D John Deere 328D. Skid Steer loader. Spare Parts Catalog. Service (workshop) Manual. Operator's Instruction Manual. 3800623 329D John Deere 329D. 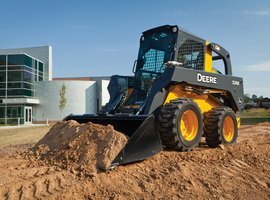 Skid Steer loader. Spare Parts Catalog. Service (workshop) Manual. Operator's Instruction Manual. 3800624 332 John Deere 332. Skid Steer loader. Spare Parts Catalog. Service (workshop) Manual. Operator's Instruction Manual. 3800625 332D John Deere 332D. Skid Steer loader. Spare Parts Catalog. Service (workshop) Manual. Operator's Instruction Manual. 3800626 333D John Deere 333D. Skid Steer loader. Spare Parts Catalog. Service (workshop) Manual. Operator's Instruction Manual. 3800627 675 John Deere 675. Skid Steer loader. Spare Parts Catalog. Service (workshop) Manual. Operator's Instruction Manual. 3800628 675B John Deere 675B. Skid Steer loader. Spare Parts Catalog. Service (workshop) Manual. Operator's Instruction Manual. 3800629 3375 John Deere 3375. Skid Steer loader. Spare Parts Catalog. Service (workshop) Manual. Operator's Instruction Manual. 3800630 4475 John Deere 4475. Skid Steer loader. Spare Parts Catalog. Service (workshop) Manual. Operator's Instruction Manual. 3800631 5575 John Deere 5575. Skid Steer loader. Spare Parts Catalog. Service (workshop) Manual. Operator's Instruction Manual. 3800632 6675 John Deere 6675. Skid Steer loader. Spare Parts Catalog. Service (workshop) Manual. Operator's Instruction Manual. 3800633 7775 John Deere 7775. Skid Steer loader. Spare Parts Catalog. Service (workshop) Manual. Operator's Instruction Manual. 3800634 8875 John Deere 8875. Skid Steer loader. Spare Parts Catalog. Service (workshop) Manual. Operator's Instruction Manual. 3800636 CT315 John Deere CT315. Compact Track Loader. Spare Parts Catalog. Service (workshop) Manual. Operator's Instruction Manual. 3800637 CT322 John Deere CT322. Compact Track Loader. Spare Parts Catalog. Service (workshop) Manual. Operator's Instruction Manual. 3800638 CT332 John Deere CT332. Compact Track Loader. Spare Parts Catalog. Service (workshop) Manual. Operator's Instruction Manual.